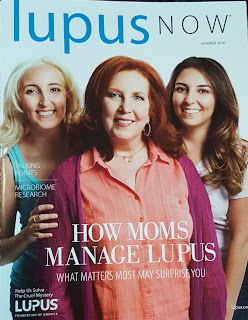 Thank you, Lupus Now, for including the Gorman girls in your great cover story "How Moms Manage Lupus"! In the Gulfport, Florida area? Mark your calendars for 7/21 - Free Yoga class and lupus seminar!! 23andMe lupus patient video and lupus research study. Consider participating today!